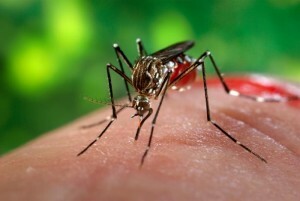 A “State of Emergency” was declared this week in Jamaica over the chikungunya virus situation on the island, according to Telesur TV report Sunday. $4.5 million has been allocated to battle the mosquito borne virus. The effects of an epidemic on the economic health of a nation are catastrophic and the CHIKV epidemic is no different. With the prediction that some 60 per cent of Jamaicans will be affected by CHIKV, that is one million six hundred thousand Jamaicans, and with a downtime of five to 10 days, we are estimating a loss to the Jamaican economy of at least $30 million using a daily wage of $2,000.00 per day. This is a very conservative estimate and is certainly not the type of loss to the island’s income that Jamaica can afford in the throes of an IMF economic straightjacket. Current numbers from the Pan American Health Organization (PAHO) put Jamaica at approximately 400 locally acquired chikungunya cases. The total number of autochthonous cases of the disease in the Western hemisphere is over 770,000 since the first cases were reported on St Martin in December 2013.